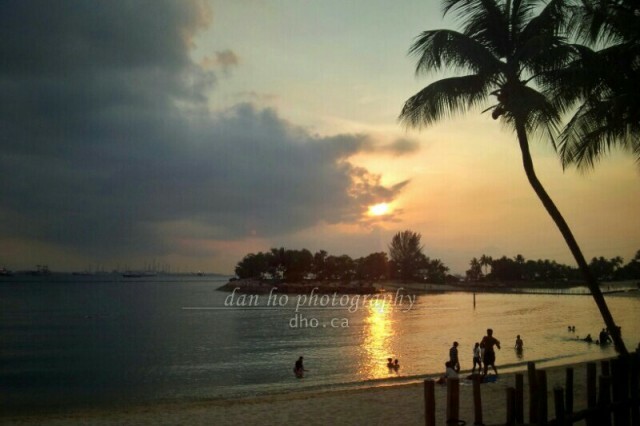 Sunset at Siloso beach in Singapore. Chilling with the EE backpackers at Siloso beach, Sentosa, Singapore. It was nice to find an excuse to head out to this part of Singapore. For those on a budget, you can walk here directly from Vivo City. Along the way, by the Merlion or the Beach monorail station, the is a 7-11 where you can buy booze to consume on the beach. There are also at least two bars with pools you can party at if you wish. I can’t belive it took me that long to explore Sentosa – mainly because it is far from my aunt’s – but it is definitely worth the trip.